Over the years working in healthcare communications, I have learned that it takes a lot of preparation and focus to make the most out of a medical meeting. Medical conferences are as valuable as you make them. They provide excellent opportunities to converse with patients and collaborate with experts. The difference between simply attending a meeting and maximizing its worth lies in your approach. Preparation: It’s important to know in advance what you hope to get out of the meeting. Why do you want to meet certain people? Do you see possibilities for collaboration? With limited time, having specific reasons and goals in mind can yield effective results. If you are planning a private event, reach out to your contacts well in advance to secure their attendance and lock down logistics. Networking: You never know who you’ll meet at these meetings, which is why it’s important that you’re prepared with a firm handshake and a little personality! Begin by bringing plenty of business cards to share. Exchanging tangible contact information is still one of the most effective ways of being remembered after meeting someone new. Take the lead by introducing yourself with a smile, and know what you want and have a plan for getting it. Promote interesting conversations by asking great questions and actively listening to what others have to share. After the conference, make sure to follow up via email. LinkedIn is also an easy way to connect after meeting someone. 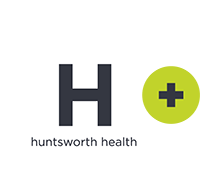 Social Media Engagement: The growing patient participation at these meetings has made way for a strong social media presence, and the addition of more people into this online network helps get important information to the patients and families we work with every day. Twitter can be a great way to capture the small nuggets of information you and others gather while at a conference. After the conference, look back through your stream of posts for a journal of what you found inspiring. And as a bonus, you can see what other people tweeted, which may further reinforce what is really important. Post-Conference Learning: Most of us have been there: attended an exhilarating conference, met fascinating people and left armed with new knowledge—only to get pulled quickly back into our day-to-day, to the point that we don’t follow up or follow through. It’s important to share your experience and any new knowledge with colleagues, clients and patients. A great way to get a good sense of patients’ reactions is by reviewing blogs written about their experience. This is especially important if you held a private event. Personal accounts can help reinforce what worked and what didn’t so you can build upon those experiences for the following year. 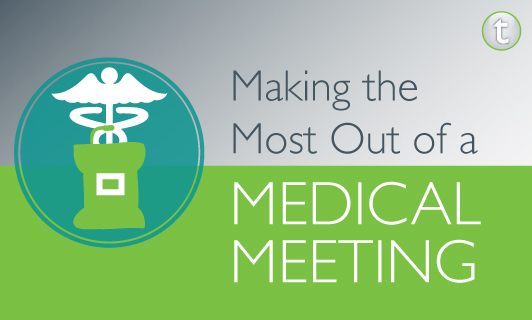 What are some of your tips for making the most of out of a medial meeting? Comment below!